The Client is a leader in Car Rental Services covering over 100 countries and 4500 locations with a fleet ranging from no-frills models to top of the range luxury cars. 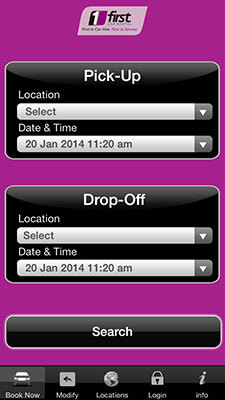 Search Screen: This is the search screen of the application where users can search Pick-Up and Drop-off Locations alongside the date and time. 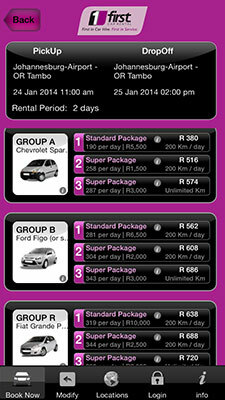 Available Pick up and Drop off: User can select different available locations from here. User can also select desired Date and time of booking. 1. Car Package: There are three types of Packages available in application, a user can select either Standard, Super or Executive package. 2. Car info Screen: As we click on info icon, we get all the information about the car like Per day cost, Responsibility deposit, free kms in a day, cost per extra km, total cost and per day cost. 3. 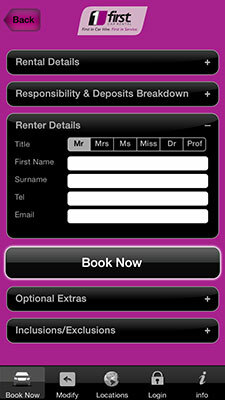 Renter details screen: User can fill his information in Rental Details screen. 4. 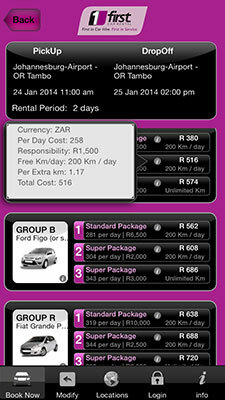 Rental Details: Pickup and Drop off detail available in this screen. 5. Optional Extras : If user wants additional features like Driver, Child seat, collection address and bordering country details, user can request for such facilities using this screen. 6. Inclusions / Exclusions: Provides information to user about inclusions and exclusions. 7. 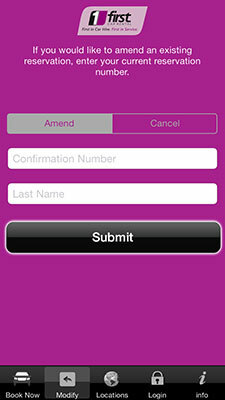 Manage Amend /Cancel Process: User Can Amend or cancel his booking with the help of this screen. 8. 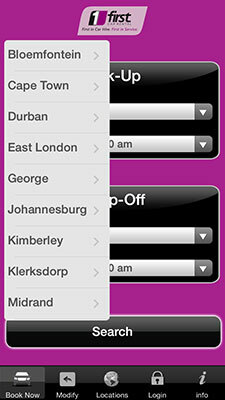 Location Map: Enables users to see their current Location on a map. 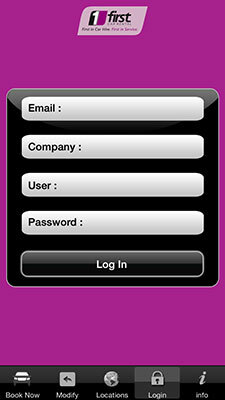 Log In: Once a User fills & saves information on this screen successfully, the same information can be sued at the time of booking. 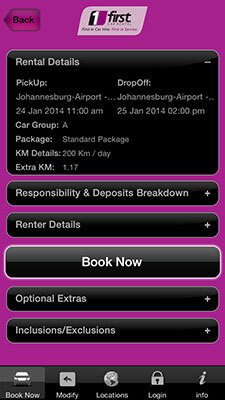 To make the user experience of the app exactly similar to the FCR website when it comes to booking cars. 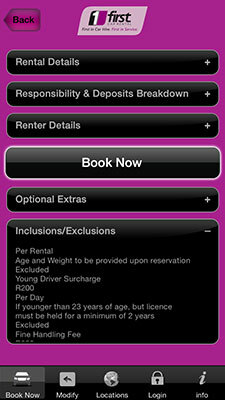 Developing the booking Car screen as multiple tables are being used to fetch data for different tabs with complete validations.